Pierre van Dijk was born on 5 June 1950 in �s-Hertogenbosch. At the age of only 4 Pierre wants to draw and paint in all quiet. 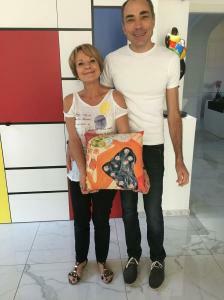 On his tenth birthday he is given his first �real� set of oil paint, palette and canvas. In 1954 he and his family move to The Hague. This is where he studies at the Royal Academy for Fine Arts (NL)(1967 � 1972). From 1972 to 1974 he pursues his studies at the Free Academy (NL) guided personally by Livinus van der Bunt, rector of the academy as well as artist. A great number of exhibitions � both in the Netherlands as well as abroad � follow from 1974 onwards. In 1977 Pierre moves to Gorinchem and becomes a member of �Pictura� in Dordrecht. After a number of modern art projects such as �Les Enfants Terrible� and �Monument Affaire� he returns to his native city �s-Hertogenbosch in 1984. Pierre then withdraws in himself to contemplate his art, meanwhile developing his painting techniques. Apart from traditional techniques he also masters paintbrush techniques. Due to the increase in quality in his work applications for exhibitions come pouring in. The authoritative magazine �Kunstbeeld� requests him to exhibit in New York. In 1989 Pierre even moves to the US for a number of months where he exhibits in various galleries; in Gallery 54 in New York among others. In this period he also teaches at Lock Haven University in Pennsylvania. In the course of the eighties Pierre became more and more internally driven to capture the phenomena of light and colour in all their splendour. Pierre developed a unique palette, style and vision. This vision, the typical use of colours and his handling of light have become famous and trademark Pierre�s impressionist paintings. His vision can be described as vitalist optimism; he paints the beauty of life. His use of colours can be called contradictory. Through the use of a refined combination of a limited number of base colours he achieves an inimitable wealth of colours. His use of light is more than just lighting; it does not fall externally on the object or scene; it is mostly a light from within. Pierre van Dijk colours life and exposes a world of light. In 1998 Pierre decided to open a gallery in �s-Hertogenbosch, together with his partner Arieke (died 2003) . The dream to set up another gallery in France came true when Pierre opened a Maison/Atelier Pierre in the medieval town of Beynac, origin of impressionism. The Maison/Atelier Pierre is surrounded by historic monuments and the overwhelming nature of Dordogne. Pierre is represented by several Fine Art Galleries in Switserland, France, Holland and in the USA. His beautiful paintings are on show at several international known art Fairs, LA FINE ART SHOW, Los Angeles, USA - PAN AMSTERDAM Art & Antique fair, Amsterdam, Holland. 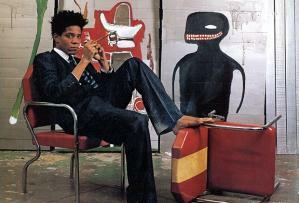 Anthony Haden-Guest on Why He Did Not Kill Jean-Michel Basquiat. It began some five years ago with a startling question: A woman I barely knew asked was I responsible for the death of Jean-Michel Basquiat. I said no, and asked where that idea had come from? It was something she had heard, she said. Thanks for the mention, Glenn. But that wasn�t quite the way it was. Meaning: Basquiat was still trying to kick drugs and that this project was not helpful. No problem, I said. I would take care of it. I called Basquiat and told him I would put the story off until he was up for it. I didn�t see the artist again until about one in the morning on a Friday night in August 1988, in Club MK on West 16th Street. I hadn�t known it was him right away. He looked fuller, both in body and face. �That is you, Jean-Michel?� I asked. �Yeah� � He said. He was missing a front tooth. I would learn that he had just returned from a trip to Hawaii. He OD�d very shortly after. Next time I saw O�Brien I told him that his account in the Radiant Child was inaccurate. But clearly Basquiat had complained to him, presumably about the same time that Scull had called me, so I didn�t suspect malice; perhaps I was insufficiently outspoken. Yes, being pursued by a shadow must be pretty unpleasant. In a recent New York Post story, the Nahmad family of art dealers took the opportunity to fire back at persistent claims they are holding on to a piece of Nazi-looted art. The Nahmad family recently hired a PR firm to help it address the incendiary claims surrounding the Modigliani work, which the family unsuccessfully attempted to sell at Sotheby�s in 2008. �Looted art, hidden art�they made me look like a crook instead of doing real battle in the court,� David Nahmad told the New York Times. The Post cites sources who allege that Palmer goes about his process �backward,� and suggests that he can be aggressive with clientele. Michel Strauss, a former head of Sotheby�s Impressionist and modern art department in London, tells the Post that Palmer sent a letter in 2014 stating that an Edgar Degas painting that had once belonged to Strauss�s grandfather could possibly be Nazi loot. 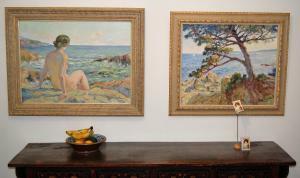 When Strauss conducted his own research and was satisfied with information indicating that the painting had been sold properly in 1932, Palmer �was a bit pissed off at me,� Strauss says. �He tried to insist and insist,� that the painting had indeed been stolen. It�s certainly not the first time art recovery firms have drawn scathing criticism for issues ranging from aggressive research and recovery tactics to extreme greed with respect to recovery charges. It�s also not unusual for the barbs to come from competing recovery firms, or disgruntled clients. The Nahmads�s longstanding denial regarding ownership of the painting has not helped their cause in the eyes of critics. For years, the family insisted it was owned, not by them, but rather by an entity known as International Art Center (IAC). But the early April massive leak of the Panama Papers, which exposed the Nahmad family as the sole controllers of IAC, shattered that claim. 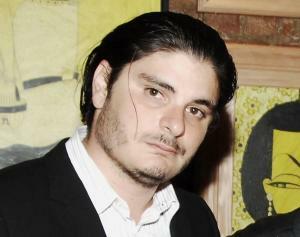 In May, artnet News obtained letters, produced as part of a court subpoena, showing Sotheby�s contacted Helly Nahmad twice about a potential pending claim on the Modigliani painting following its 2008 failure at auction, even as the family continued to assert that it did not own the work.